Nazan Bedirhanoğlu’s research interests include political economy, intellectual property, cultural expressions, foreign policy, international organizations, the Middle East, and the Kurdish question. Her dissertation is on the social and economic dynamics of global norm-making with regard to intellectual property rights. 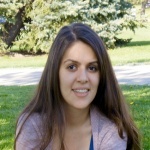 She currently conducts two interrelated research projects: The first one compares Kurdish diaspora in the United States to the diaspora in Europe. The second one explores the encounters of the Kurdish traditional knowledge with the global intellectual property and cultural heritage regimes under the conditions of tangible and intangible destructions and appropriations.